Penguin Children's Classic Cover - creepiest ever? 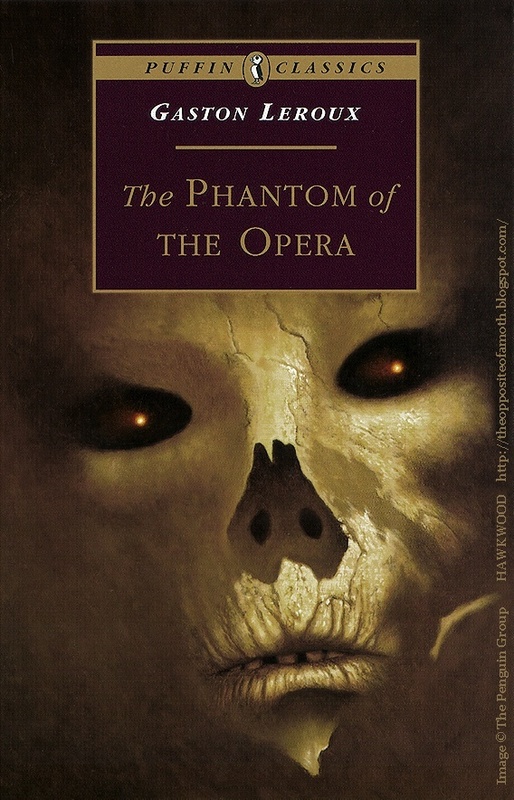 I don't know if anyone had/remembers this children's abridged edition of Phantom of the Opera published by Puffin - but man, this is probably the most realistic depiction of Erik's face from the book I've seen - and it was on a cute 'classics for kids' book?! This haunted my nightmares as a precocious 7 year old. I think it's the glowing eyes... and it still gives me shivers to this day, although I can't help but admire the artistry. Whoever illustrated this didn't pull any punches with the source material! Anyone else remember this cover? Or can anyone else top it with the 'gothic horror' factor? PS - Apologies if this image is too big. I've tried resizing it, but am a little unfamiliar with the host picture button. If this isn't right, please let me know and I'll photobucket it instead. Re: Penguin Children's Classic Cover - creepiest ever? Yep, I remember that book cover art. I did have that edition of Leroux's book at one time in my collection, but I don't think I have it anymore. But yeah, it's pretty creepy. The Puffin Classics edition was the first edition I ever owned of Leroux's novel in any language, and I was immediately attracted to it by the cover. Loved it -- and still do. Back in the day, at some point in the 1990s, there was an interview that the phandom organised with the illustrator about this cover. I can't remember now if it's one of those old fanzines or whether it was on an earlier version of Christine Daaé's website. I think it was in a fanzine -- I probably have a copy of it somewhere lying about. Oh, I bet that's an interesting article, Scorp! I was always intrigued by what a visual impact the artwork made (after I grew old enough to appreciate the artwork, mind you - aged seven I was a little worried that Erik lived under my bed and was going to grab my ankles if i got out!) - it really is the face of a living corpse 'built up of death from head to foot'. If you ever find it, I'd be really interested to know more about the illustrator. TwelveInchTailor wrote: Do you collect different editions, NightRachel? Well, I kinda do. Some yrs ago I had a little collection of a few different editions of Leroux's POTO, but in the yrs since I've parted with some of them, so my collection of different editions has gotten smaller. Now I'm not sure how many I still have, but I don't think I have that many. I can tell you one of my fave cover designs is the one for the 1990 Bantam Classic paperback (the Lowell Bair translation) which shows Christine and Erik in his boat on the lake. I think that artwork is so hauntingly beautiful and romantic!